With the technologies developed in the last decade or so allowing us to witness brain activity as its happening, scientists are able to observe and study the parts of our brain that “light up” during certain activities and experiences. A healthy brain will have lots of activity in the areas of the brain needed for any given process as it forms and exercises connections. In musicians, brain activity explodes while playing their instrument of choice, working through an astonishing number of areas of the brain at lightning fast speeds. 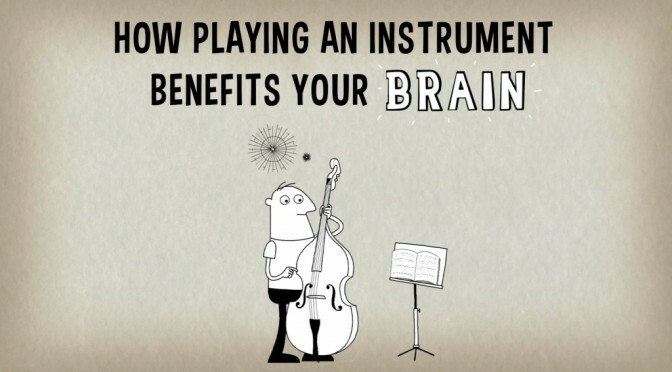 This video explains the fireworks that go off in musicians’ brains when they play, and examines some of the long-term positive effects of this mental workout.